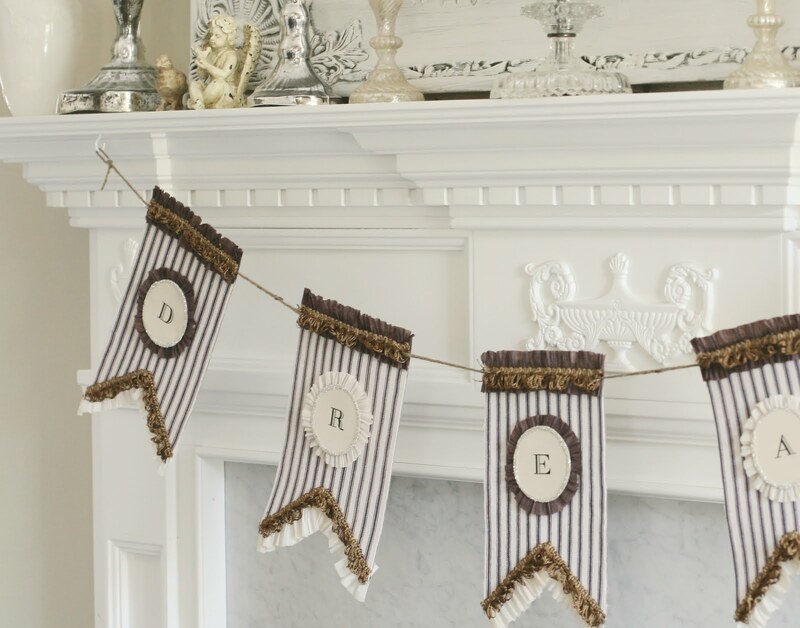 Come spend the afternoon creating this charming banner made from French ticking, crepe paper, German glass glitter & glorious trims from Tinsel Trading Company! You will have the option of personalizing your banner with the following colors of crepe paper: brown, cream or pink. 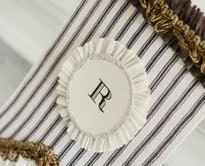 You will also have the option of choosing your trim from several colors on the day of the workshop. 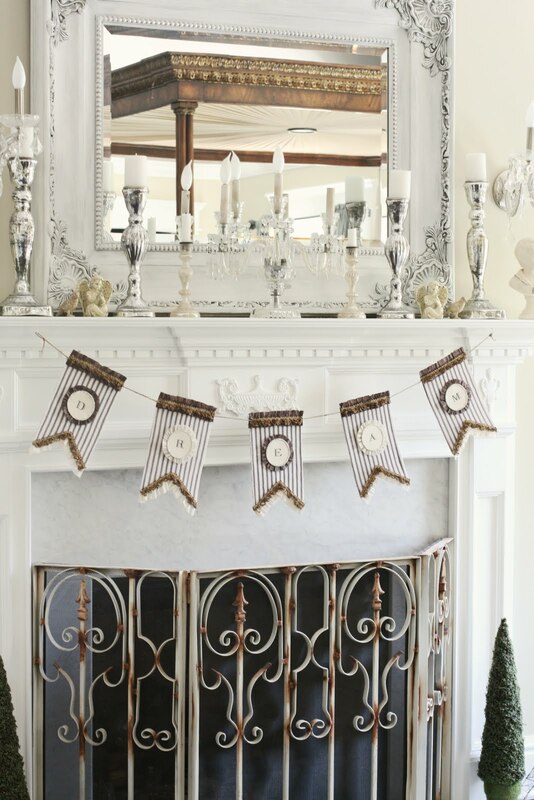 If desired, you may purchase additional trims from Tinsel Trading’s vast array of vintage goodness! Visit our Policies page for more information on registration and payment. The banner is gorgeous! Love the colors! 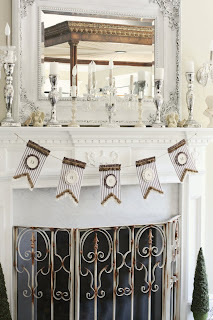 Visit Tinsel Trading Company online at www.tinseltrading.com! 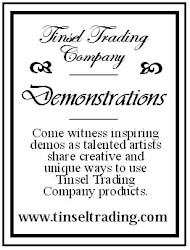 What kind of workshop would you like to see offered at Tinsel Trading Company?